Show them what you’re made of with a bone-white Skeleton vintage notebook. 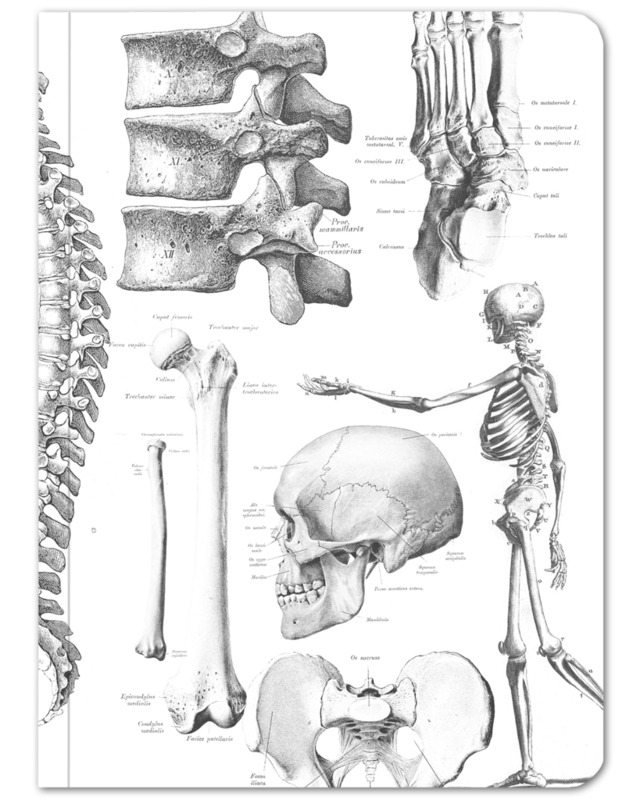 Classic medical illustrations on the front and back show the human hand, skull, and other popular bones. You might be wondering if this might become your favorite notebook. You bet your floating ribs it will! And when you open the cover, does the spine crack just a little? That’s the stuff!